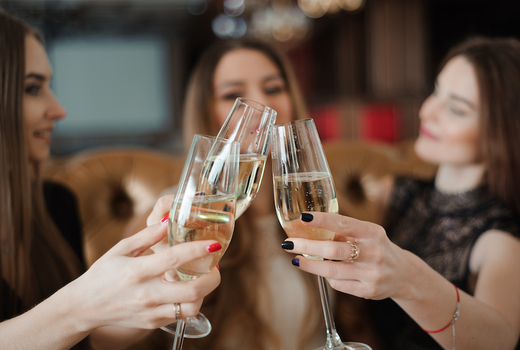 Transport yourself to an era of indulgence and extravagance on a balmy weekend evening in spring at The 2019 Champagne School: Sparkling Wines of the World Grand Tasting event taking place from 7:00pm until 8:30pm on Friday April 26, 2019 at Flûte Champagne Bar. Grab your $59 Ticket (a $73 value) for admission to this elegant soirée where you will be introduced by way of their eager taste buds to a variety of sparkling wines from around the world made with an array of techniques. 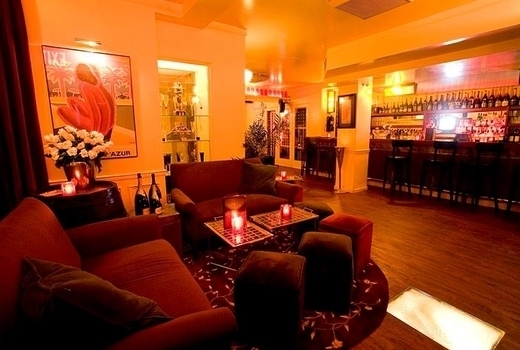 Bottles from Tresor Cava, DR Leopold, Intîme, and many others will find their match in delicious fare. Think 4 kinds of Vietnamese French Fusion spring rolls and mini burger sliders, just to name a few. 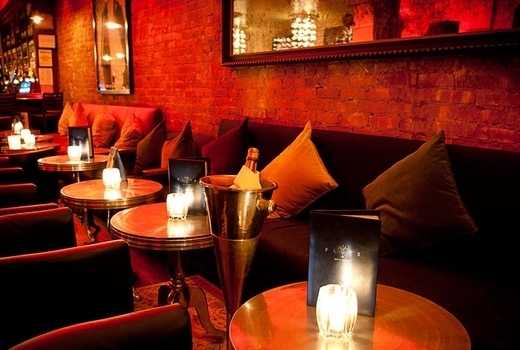 Flûte Champagne Bar is the perfect venue for such an occasion, as the spot is enriched with a heavy dose the historical nostalgia of the roaring '20s and the underground-hedonistic Prohibition era. 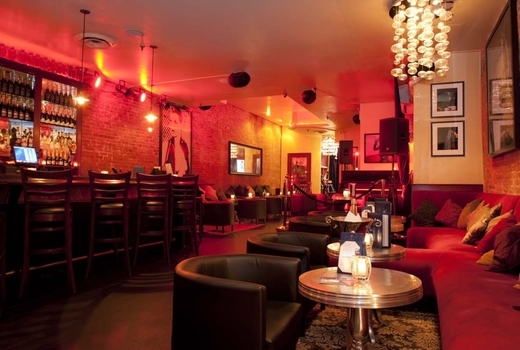 Formerly an iconic speakeasy that hosted the likes of Old Hollywood legends Mae West, Clara Bow, and John Barrymore, Flûte Champagne bar was the first of its kind and remains a delightful anomaly in New York City since opening in the late '90s. Amidst the rich furnishings, vintage posters, intimate vibes and a touch of history, Flûte attracts sophisticated bubbly enthusiasts with its sultry authenticity. 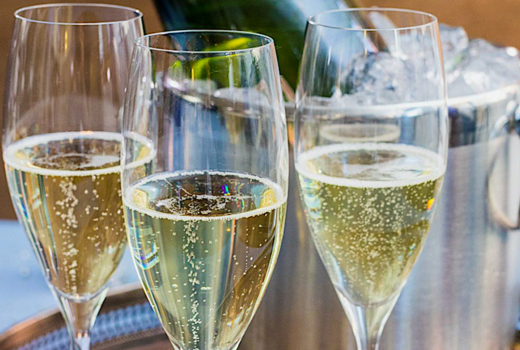 As one of their few yearly grand tasting events, The 2019 Champagne School: Sparkling Wines of the World fête gives guests an exclusive tasting experience that unearths how winemakers from around the globe craft these fizzy libations in their own style. The eclectic mix of sparkling wines will feature bottles from Calvet, Ferrari, as well as some French Brut Champagne, and more, forming a lineup that ranges from the delicate pétillant to the invigoratingly effervescent. 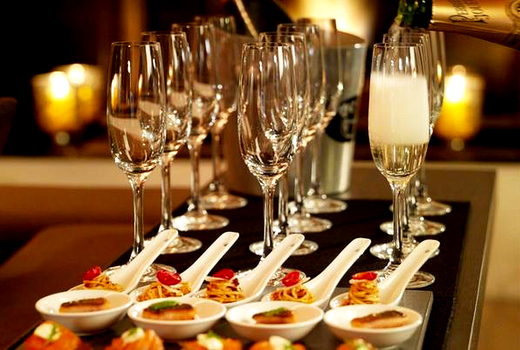 Expand your knowledge, tasting a vast variety of the most distinguished bubblies in the world at this elegant gathering. Explore the complexities of flavors, aromas, and textures created by the passionate makers as you build up an appetite. Compliment Tresor Cava with Artisan Cheeses & Fruits, DR Leopold Riesling and House-Made Tomato and Parmesan Tarts, or Intîme and Burger Sliders, among many other mouthwatering combinations. 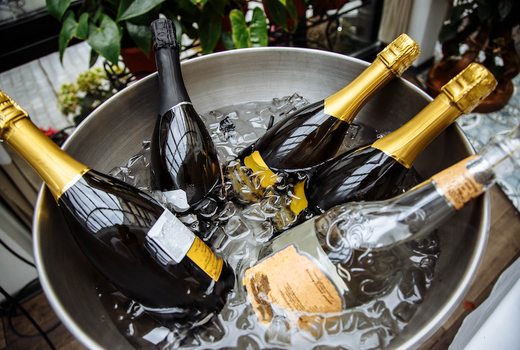 Admission To The 2019 Champagne School: Sparkling Wines of the World Tasting from 7:00pm until 8:30pm on Friday April 26, 2019. 1.5 Hours Of Unlimited Tastings Of Multiple Prestigious Sparkling Wines from Around the World. Opportunity To Interact With Passionate Wine Makers & Experts. 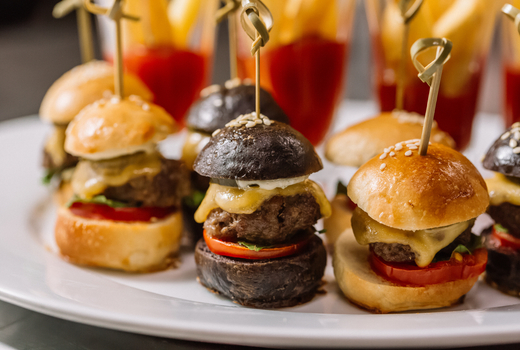 Generous Hors D'Oeuvres throughout the night, such as Vietnamese French Fusion Spring Rolls, Mini Burger Sliders, Artisan Cheeses and Fruits, and Tomato and Parmesan Homemade Tarts. Event runs 7:00pm until 8:30pm. Valid only for event on Friday April 26, 2019.